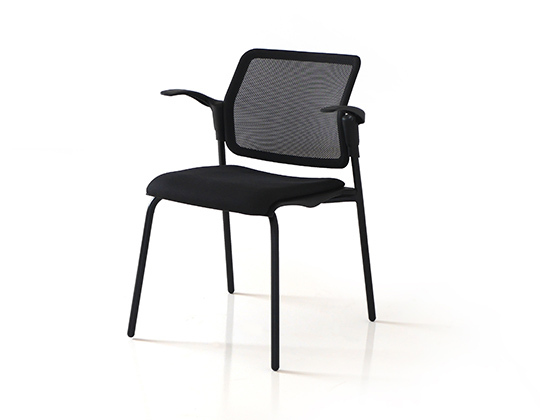 Movie mesh back is a modern, lightweight and sturdy chair. Designed in Italy, this chair provides comfort and is easily stackable. The upholstered plastic seat and mesh back are imported from Italy, and the frame is made in-house, in India. The seat back, which is made of elastic mesh stretched over a plastic frame, is specially designed to adapt to the body of the user. Movie is a versatile, space saving and convenient model, suitable for multi-functional use in the office, lounge, waiting area, training room and also popular as a visitors chair.